February may be National Fondue Month, but there’s something else heating up here in SLO County. In halls, pubs, and cafés throughout the county this month, you can hear the hesitant tap of someone on a microphone, followed by a chuckle in the audience if everything goes smoothly. That’s right. I’m talking about stand-up comedy. Throughout this month, there have been and will be stand-up events from Big Laugh Live that took place in Atascadero on Valentine’s Day to the Inaugural Central Coast Comedy Festival during the last weekend of February. But the big one, the one that brings nearly 50 comedians from all over to this little hamlet by the sea is the SLO Comedy Festival, which celebrates its fifth anniversary this February. HATS OFF: Stand-up Dave DeVito warms the crowd at last year’s festival. DeVito, a classically trained actor and magician, will play the festival again this year. In 2011, Eric Shantz was just a comedian looking to start something big. For about 15 years, he’d been working comedy clubs across the nation and attending the big-time festivals in Montreal and Edinburgh. He saw San Luis Obispo and figured the same could be had here. That first year, around 200 stand-ups sent in submissions. Forty were chosen, and for four days, the Central Coast became a new center to showcase the many flavors of stand-up comedy—from impressions to political commentary to puppetry. Over the past five years, the festival’s grown in not only size but also status. Now, instead of 40, there are 48 comedians and instead of 200 submissions, Shantz and his committee received 350 from as far away as New Zealand and Namibia. As Shantz describes it, the selection process is arduous. First, the panel, comprised of some comedians, some agents, and some fans, watch one minute. If someone likes it, they watch it for two minutes. Already, that narrows down most of the entries. FEST FOR THE REST OF US: Eric Shantz hosts the concluding Best of the Fest event at The Fremont at last year’s SLO Comedy Festival. And like Shantz said, funniest doesn’t always mean the same. 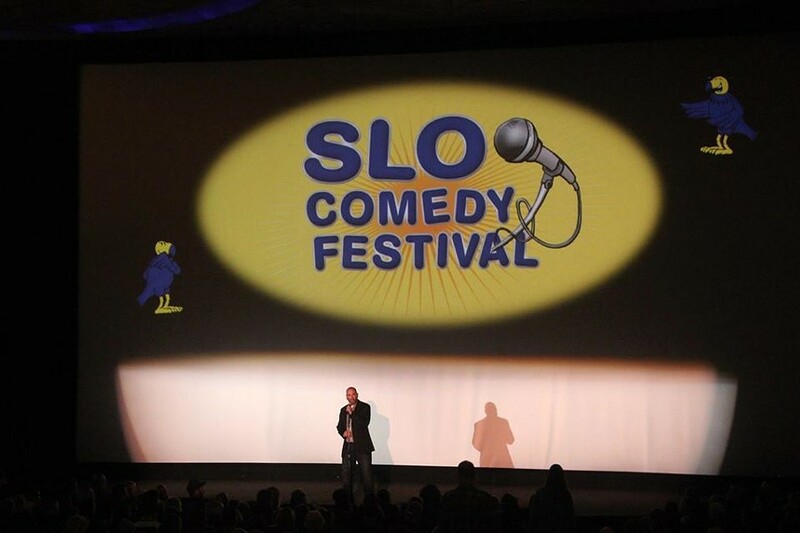 The SLO Comedy Festival aims for diversity with comedians who vary in style and subject matter. This year, that means the inclusion of comics like Aisha Alfa, a Nigerian-born stand-up who specializes in awkward, amusing personal stories. There’s also Allison Weber, a song parodist from Boca Raton, Fla., scattered among veterans like Dave DeVito—a classically trained actor who moonlit as a magician for years. Shantz himself began stand-up in 1997. He grew up in Pennsylvania, where his dad would take him to shows as a kid. It was at his dad’s pizza place where he got his start, filming commercials so bad they got the local morning show’s attention. 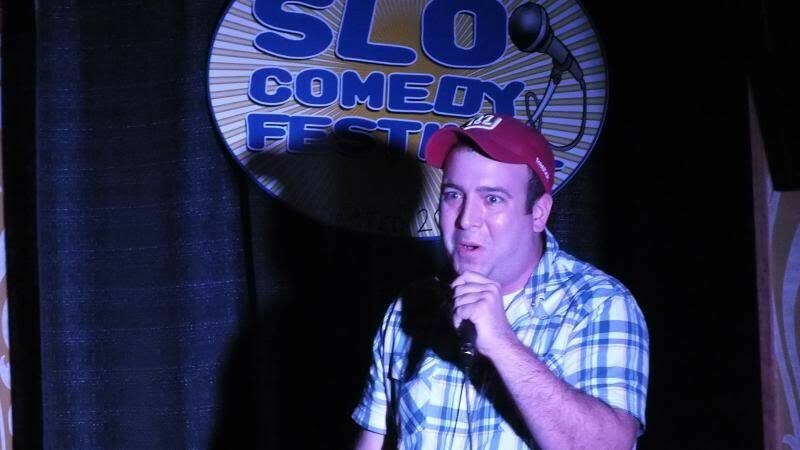 With intimate venues, themed events, and hand-chosen acts, the SLO Comedy Festival embodies this same personal and raucous-filled atmosphere Shantz found in the clubs of his early days. YUCK IT UP: The SLO Comedy Festival takes place Feb. 26 through March 1. Tickets for individual shows range in price from $15 to $20. For more details about prices and show times, visit slocomedyfestival.com. There are 27 shows spread across 10 venues throughout SLO. At Spike’s, you can sample some Gluten Free Comedy—advertised as “Not FDA approved.” Just down Higuera Street, you can catch a Battle of the Sexes at Marston’s Bar and Grill. And The Fremont, on the last day of the festival, you can bear witness to the Best of the Fest. Among the audience and among the comics, these events foster a sense of camaraderie that Shantz feels is unique to an area where comedy is just now blossoming. Jessica Peña flew all the way here, and boy are her arms tired. Contact her at jpena@newtimesslo.com.